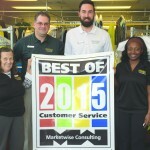 For the second consecutive year, Champion Cleaners of Birmingham, Alabama owner David Whitehurst earned the “Best Overall Service” Award. 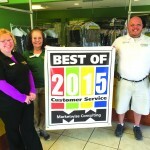 His three locations received the highest overall mystery shopping scores again in 2015. 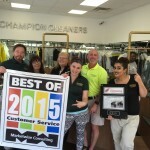 Pictured at Champion Cleaners Greystone location (left to right) are Sheila Mims, Customer Service Manager; Craig Ledwon, Plant Manager; Kyle Gainer; Caleia Hamilton. Rocky Ridge Plant (l-r): Tim Sparks; Vickie Hanner; Cindy Palmer; Morgan Simpson; Ric Pevey, Plant Manager; Nadya Mohamed, Customer Service Manager. Calera plant (l-r): Tammy Ingram; Connie Cummings Customer Service Manager; Terry Hall Plant Manager. Whitehurst said, “We take this program very seriously. Everyone in our organization has a laser focus on service at the counter. And it shows!” All participants in the DLI “Essential” mystery shopping program are scored on their customer service at the counter during drop off and pick up, plus an evaluation of the items cleaned. DLI exists to help drycleaning entrepreneurs succeed. Contact DLI for more information on this or any other service. 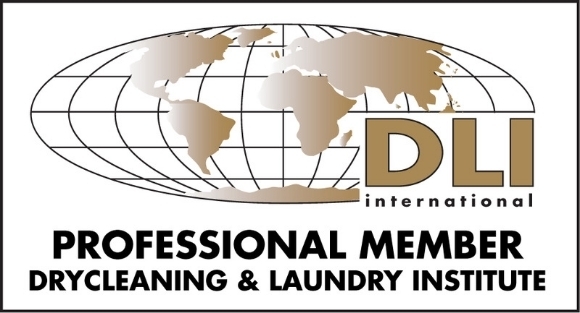 Learn more about The Drycleaning & Laundry Institute at DLIonline.org.